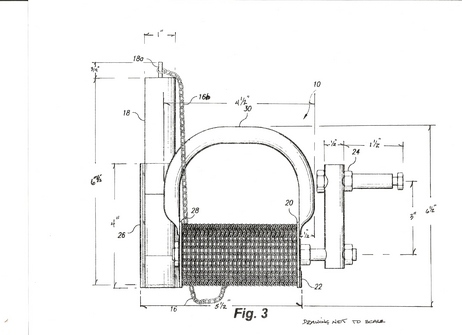 The device of the present invention is employed to extract sample water from a water tank. The tank functions as a repository for feed water to be fed to a boiler in a power plant ashore or of an ocean going vessel. 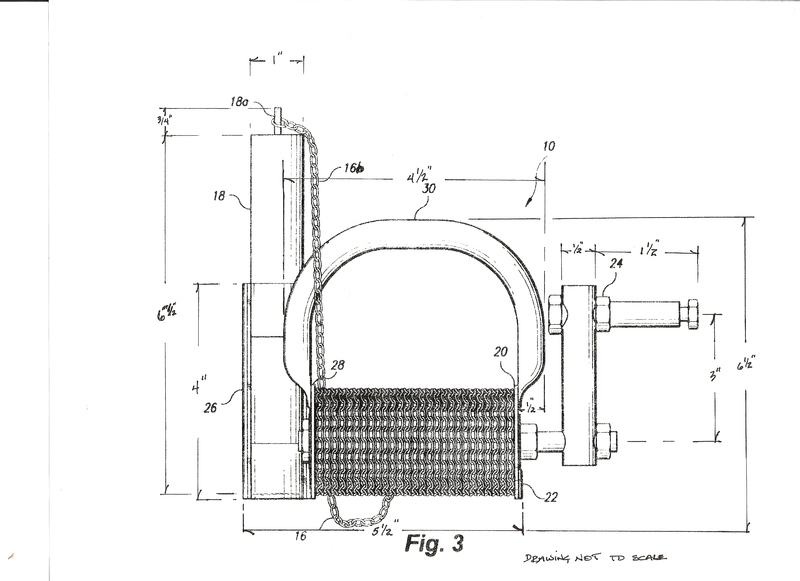 The device comprises a reel having a rotable spindle. A chain is attached to the spindle at one end, and to the thiever at the other end. The spindle has a round plate at either end with an axle connecting both plates. The axle turns freely in the plates and a turning handle is attached to the axle for manual rotation thereof. Attached to one round plate of the reel is another plate that serves as a base for the device. And attached to the other round plate of the reel is a holder, which serves also as a base as well as for receiving the thiever. The holder is configured and sized to receive and support the thiever therein. Both holder and thiever are cylindrical in shape. A carrying handle spans and is attached to the reel plates. All parts of the device can be fabricated from any suitable rust resistant material. In use, the device is hand carried to the location where sample is to be taken. The thiever is removed from the holder and the handle is manipulated to unwind the chain and lower the thiever into the tank. When a sample has been captured in the thiever, the chain is rewound to retrieve the sample-filled thiever. The thiever is then placed in the holder. The entire device can now be tipped to empty the sample into a sample bottle or other test container. 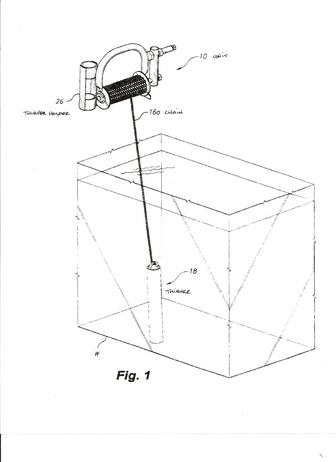 Summary of the invention: The present invention is a portable reel device for extraction of water samples from feed water storage tanks and the like. The reel incorporates a receptacle known in the art as a thiever. A chain has one end attached to the thiever. The other end of the chain is attached to a spindle. A handle is mounted to one end of the reel for rotating the spindle. A holder is mounted to the other end of the reel, which holder is sized to receive and support the thiever therein. The reel has a base portion for enhancing stability when the reel is disposed on a planar surface. Accordingly, the instant invention presents a portable device that is utilized to efficiently extract a water sample from feed water tanks. The device functions to deminish the possibility of contamination and spillage of the extracted sample. The invention provides for improved elements and arrangements thereof for the purposes described, which are inexpensive, dependable and fully effective in accomplishing their intended purposes. Onboard military an commercial ships that use steam boilers for producing steam for propulsion, for heating, for the galley, for the laundry, etc. reserve feed water tanks are necessary to replenish any water losses during steam plant operation. These tanks are usually located below the bilges and are kept as close to full as possible by means of distilling plants. They also have to be sounded to insure a proper operating level as well as tested regularly to insure there is no salt content. Any chloride or salt content is undesireable in the boilers because it can deposit on the walls of the tubes and cause scaling and eventually possible tube failure. The Tool For Extraction of Water Samples is used to extract water samples from the water tanks for testing for chlorides.